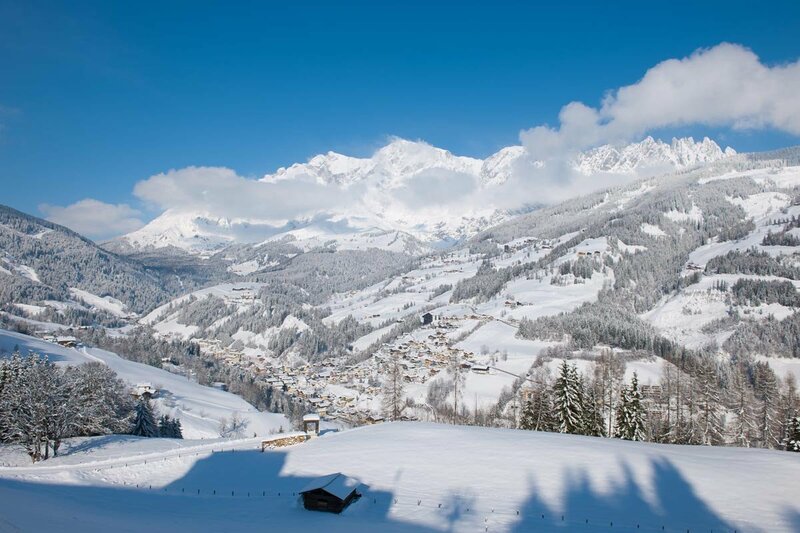 # Ski Tours, Toboggan, WINTER HIKING & More! 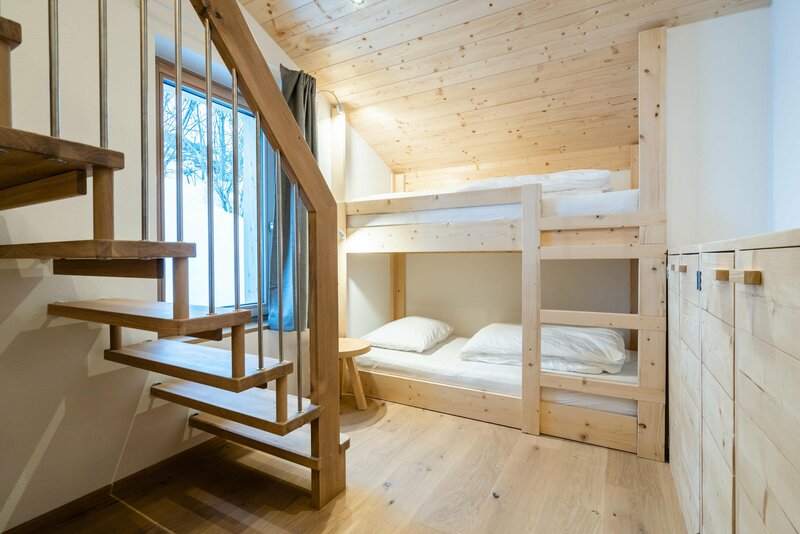 Bischofshofen Train Station is 20 minutes by car from the chalet and Salzburg Airport is a 45 minute drive. 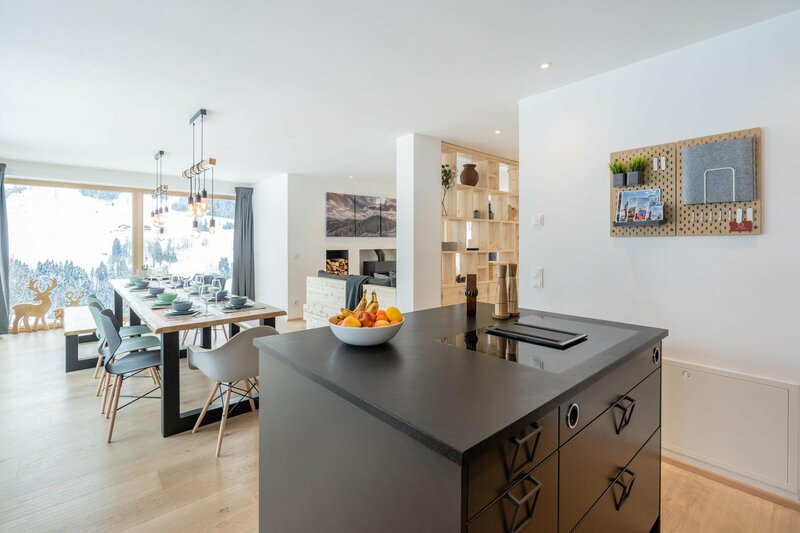 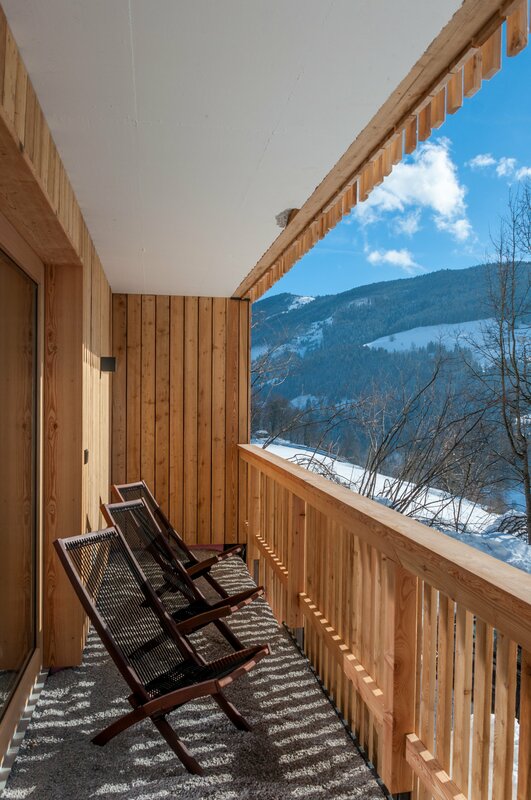 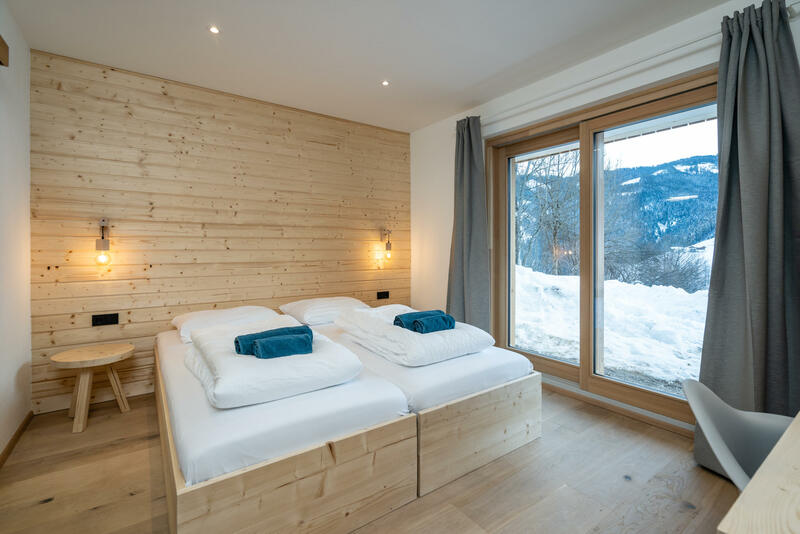 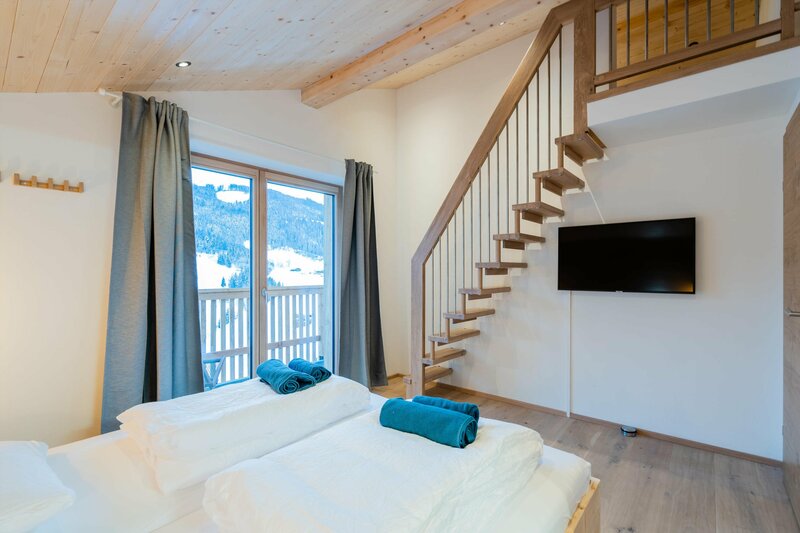 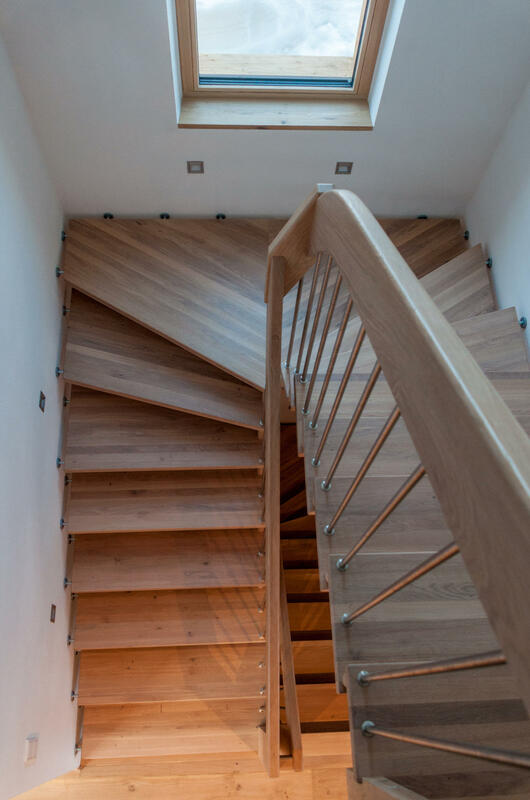 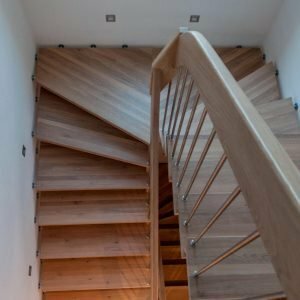 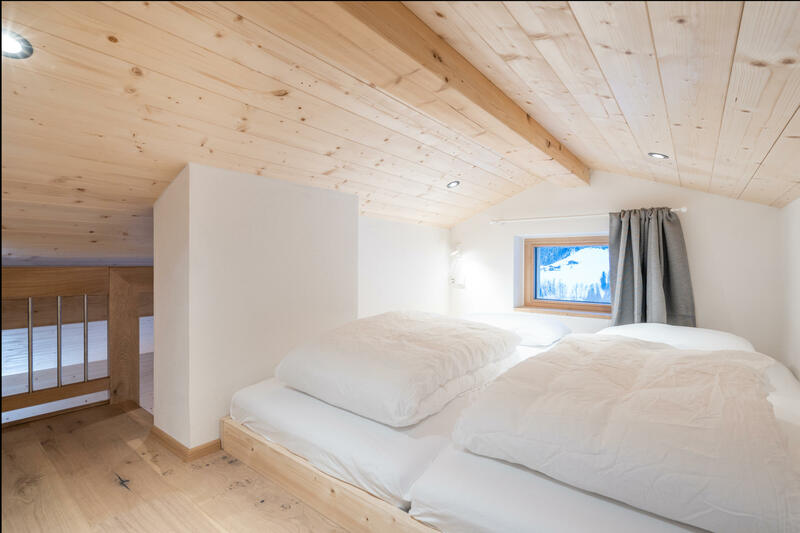 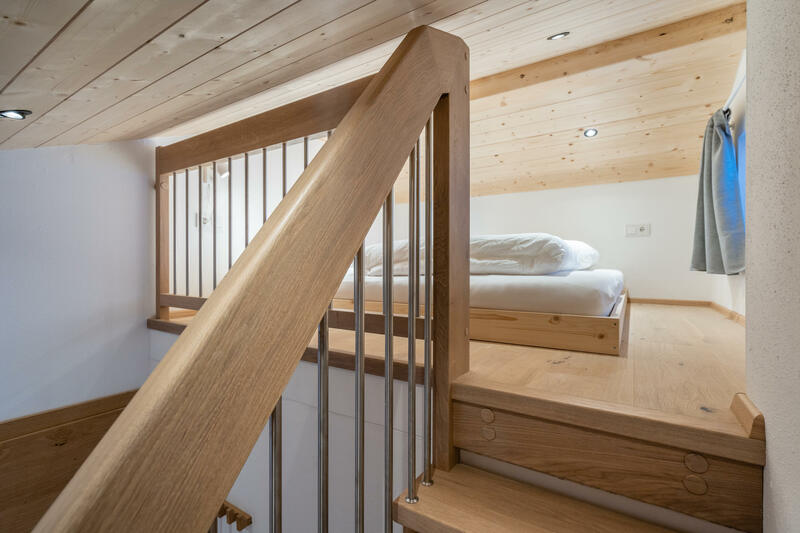 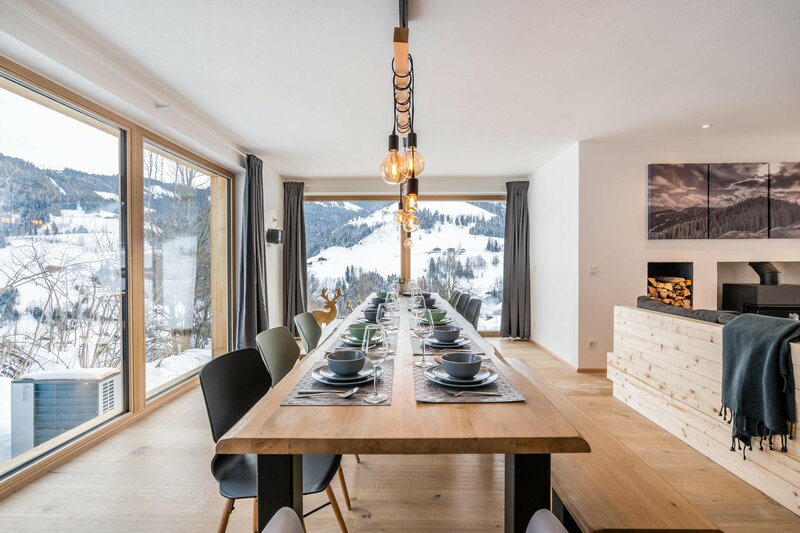 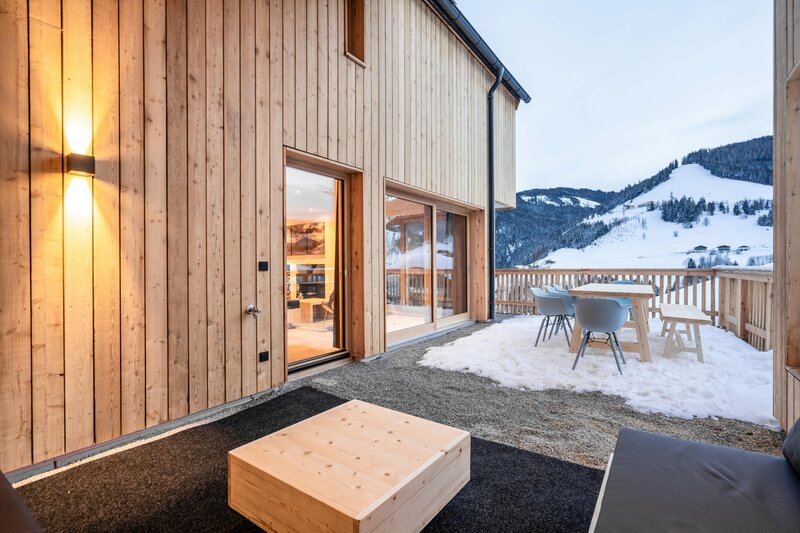 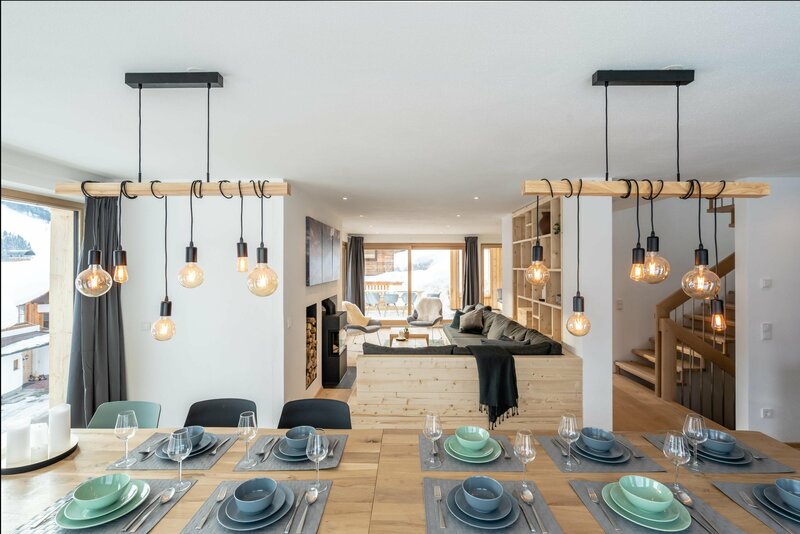 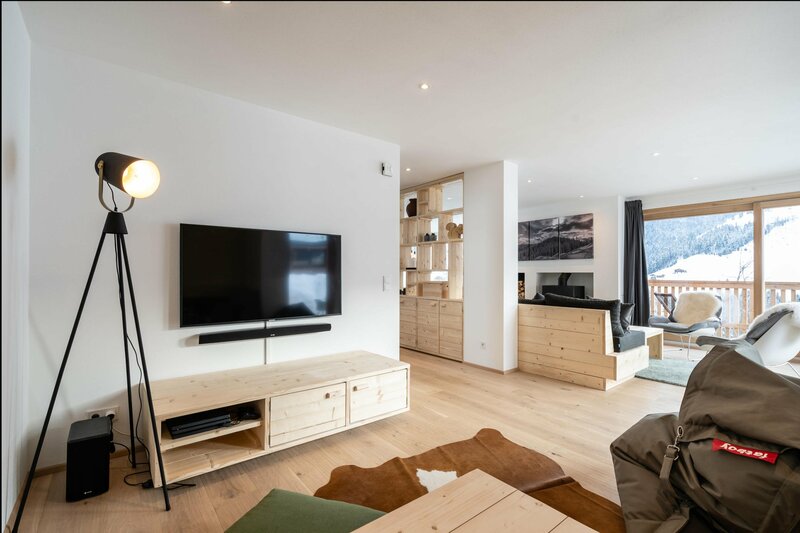 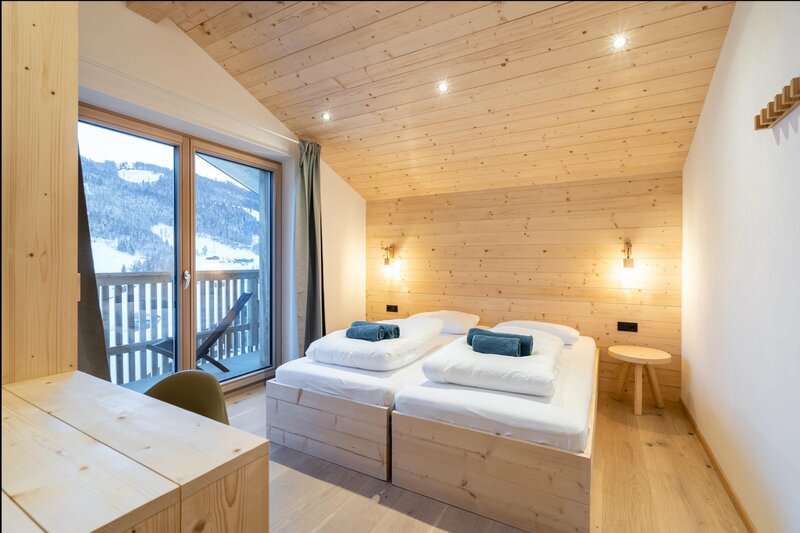 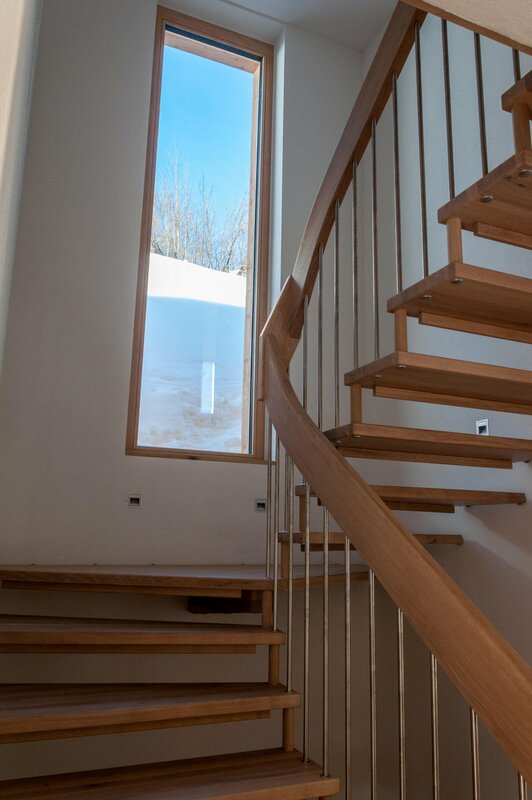 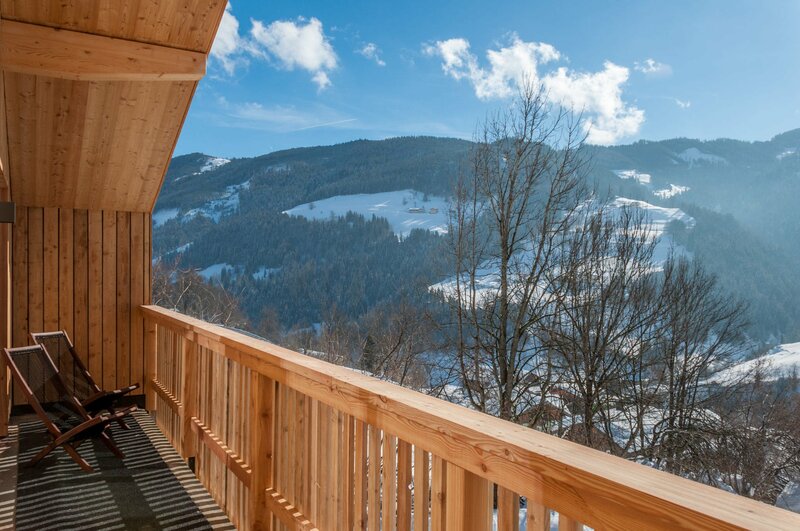 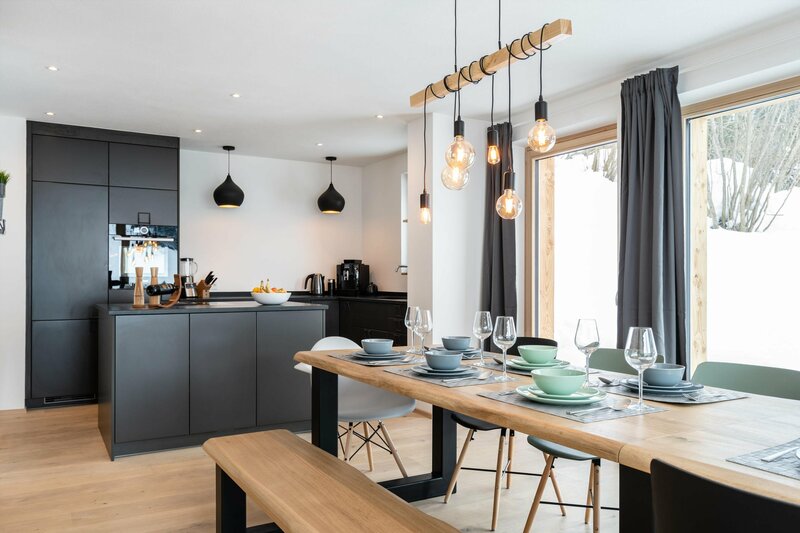 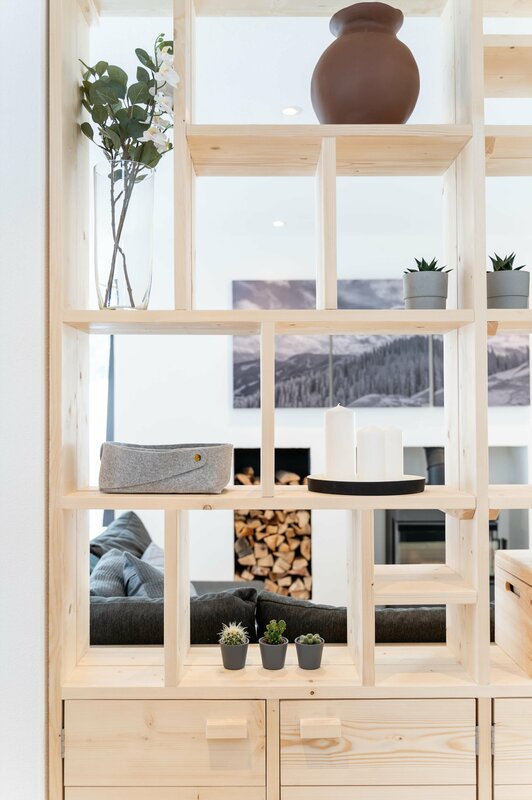 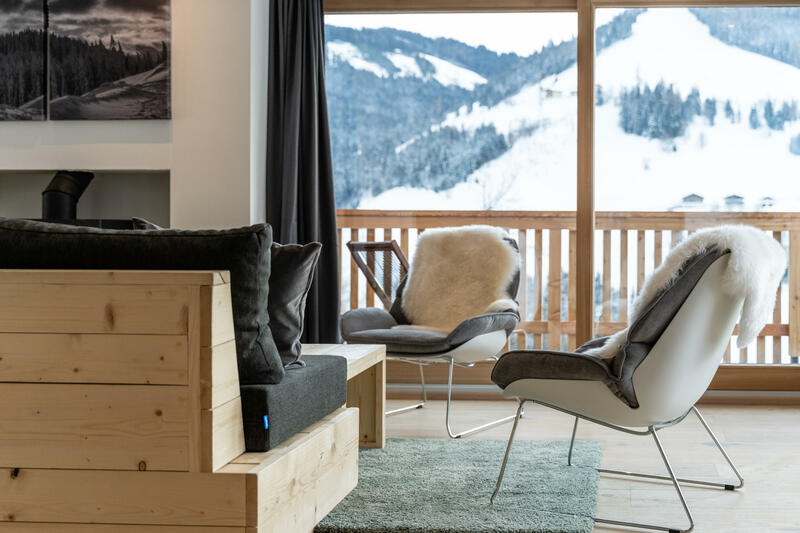 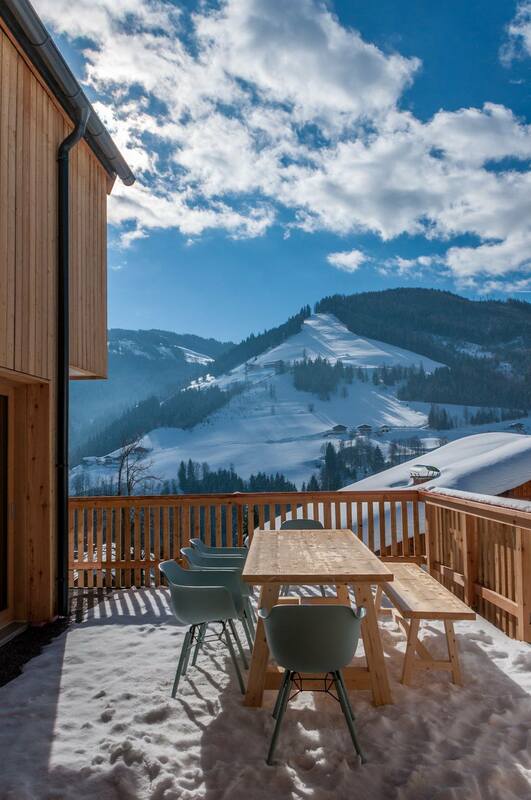 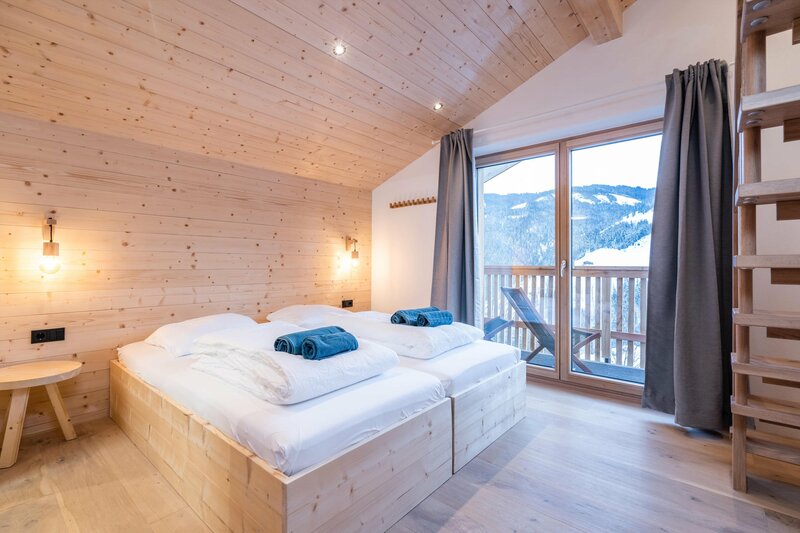 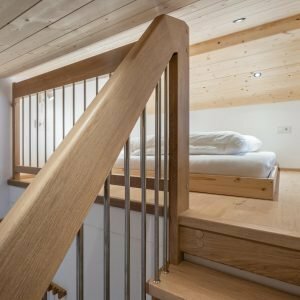 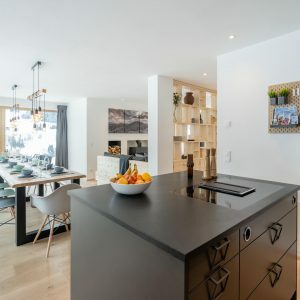 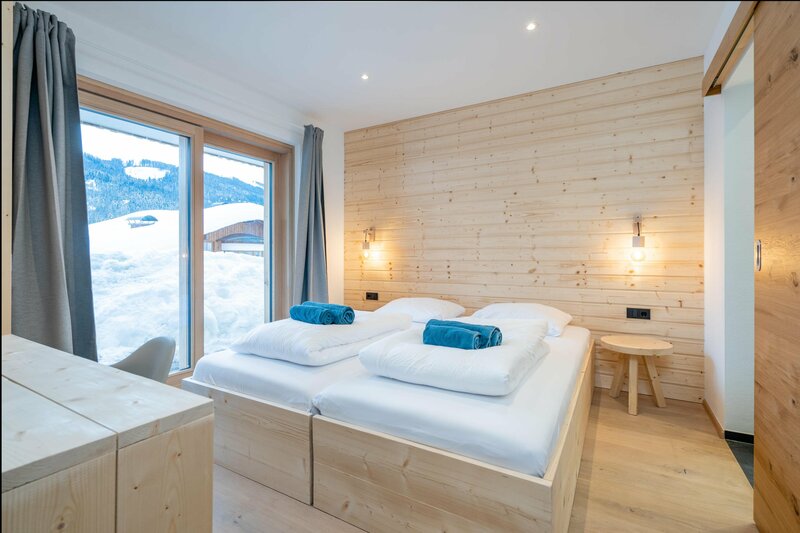 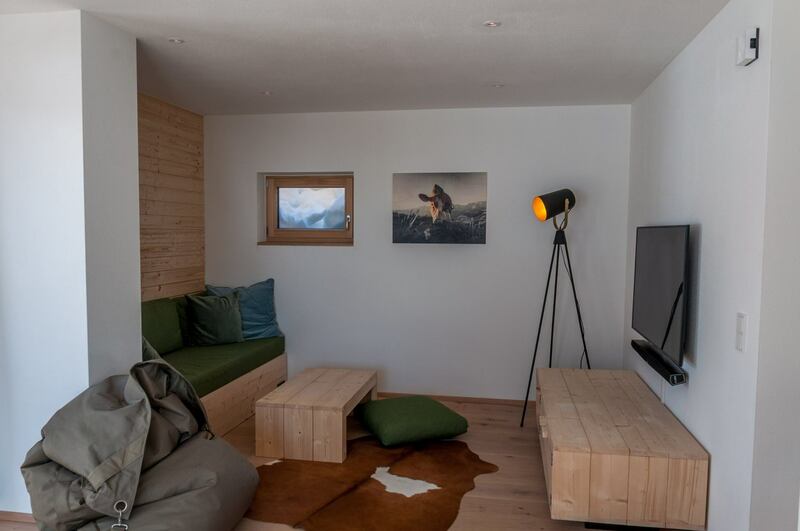 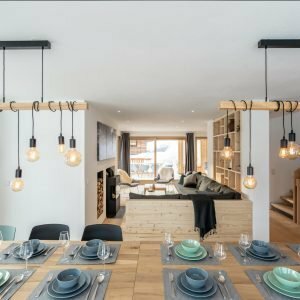 Our newly built luxury alpine chalet is the perfect year round alpine escape. 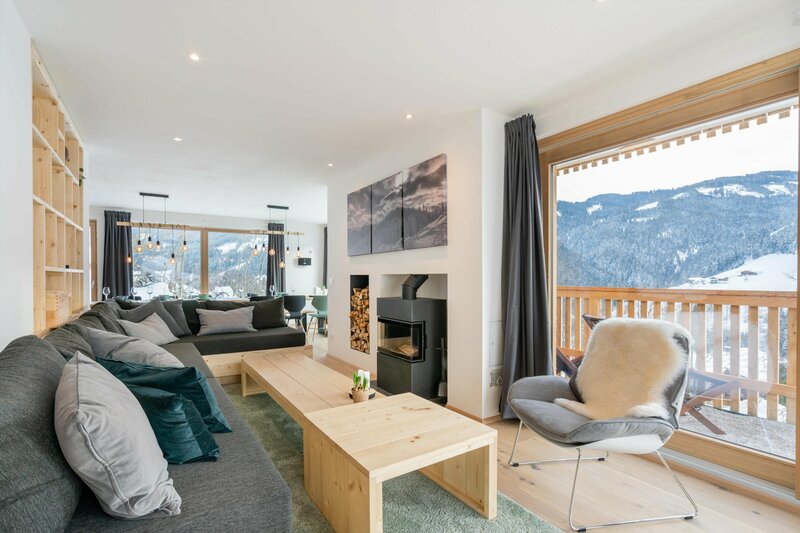 With 260 m2 it includes a huge living area with a spacious modern kitchen, 16 person dining table, cosy lounge with a fireplace, an entertainment corner, a large outdoor deck and 6 spacious bedrooms with XL beds. 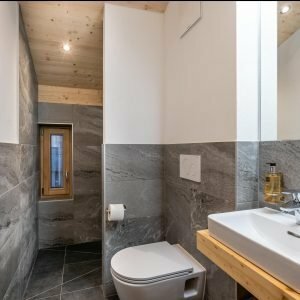 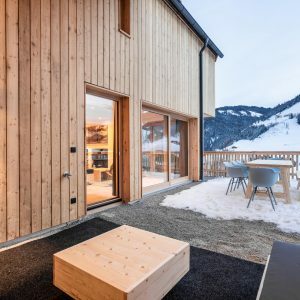 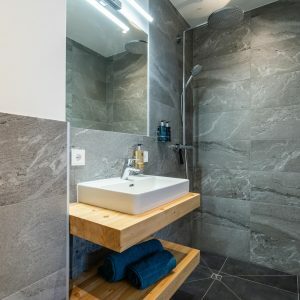 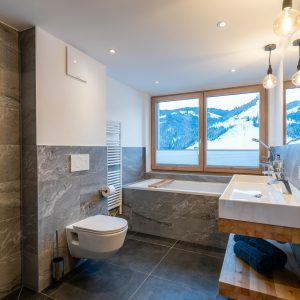 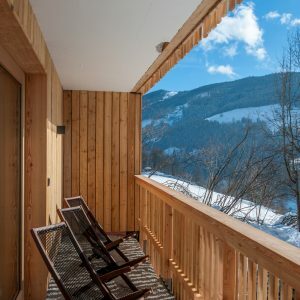 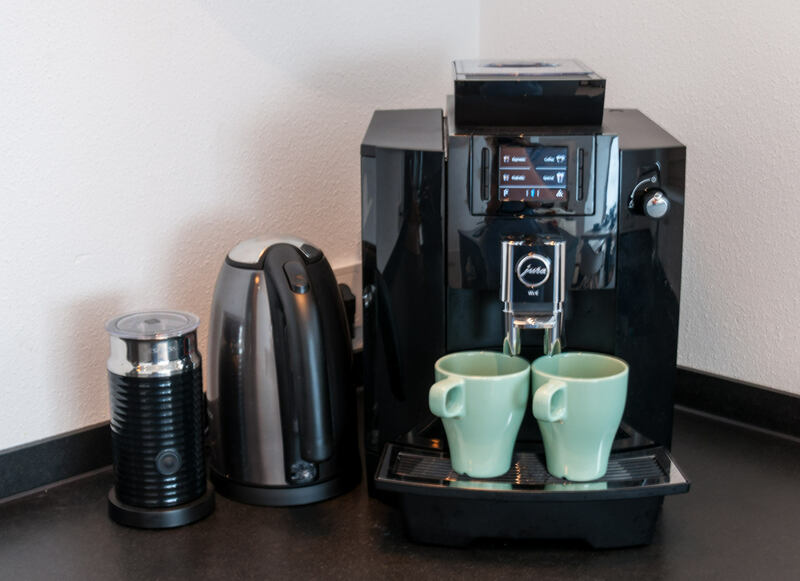 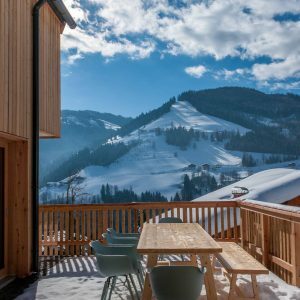 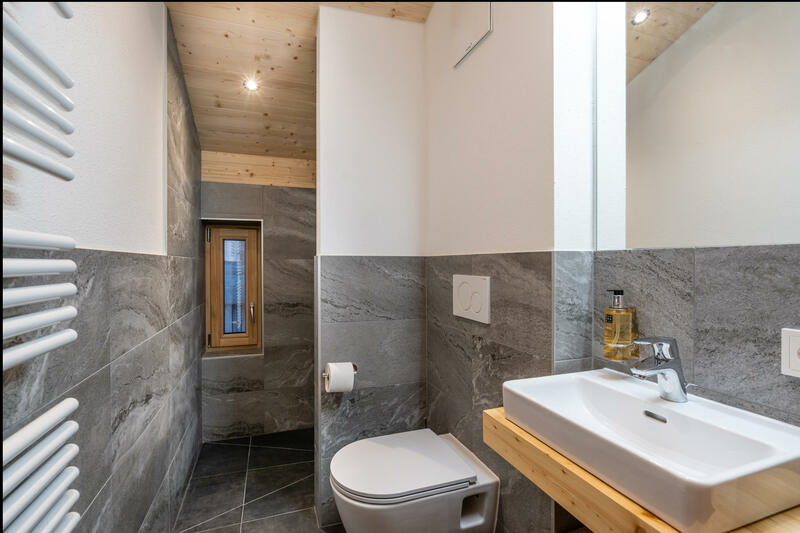 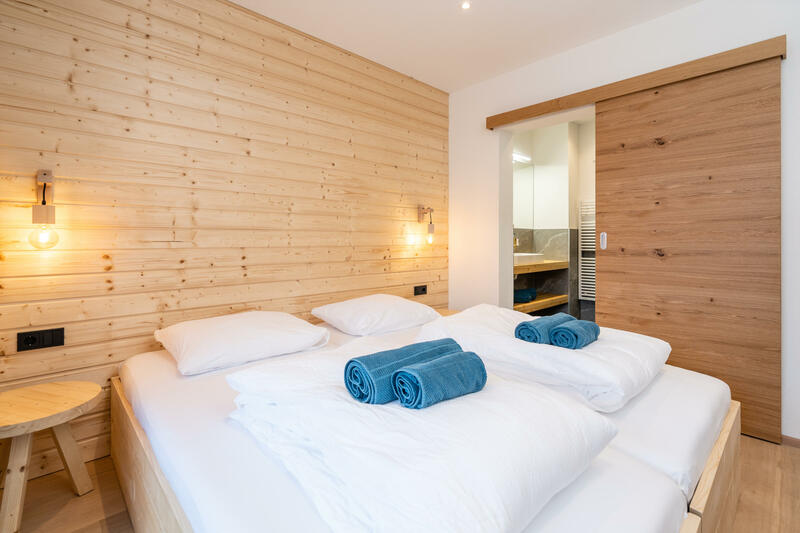 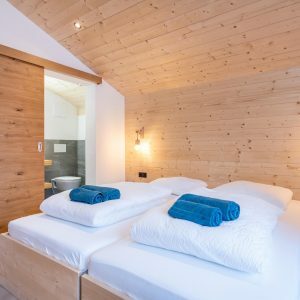 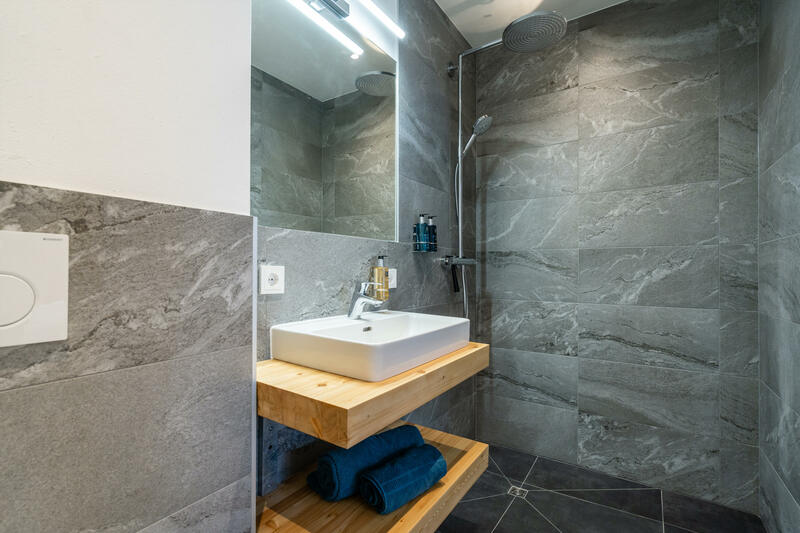 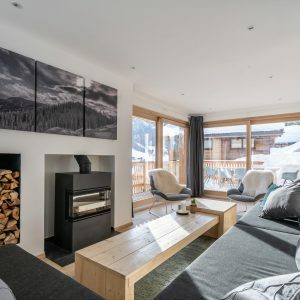 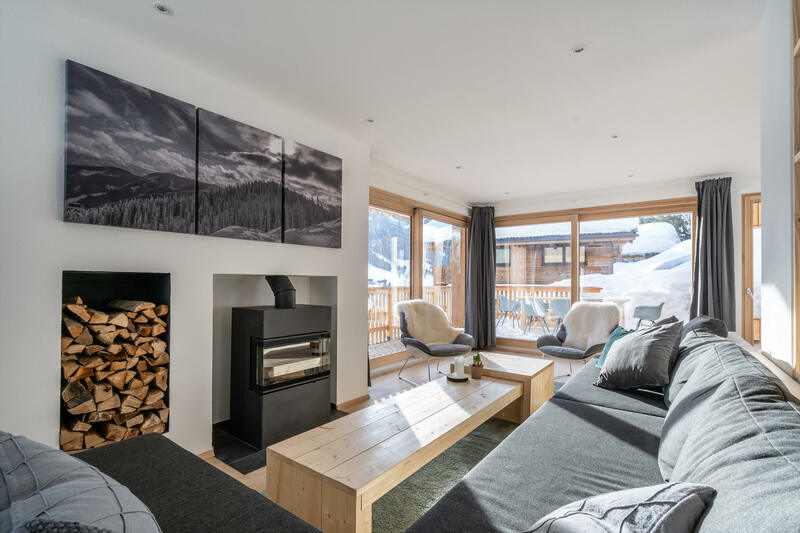 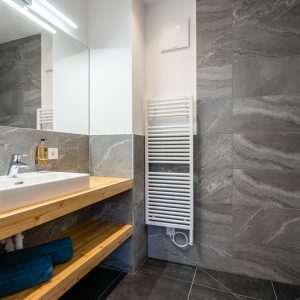 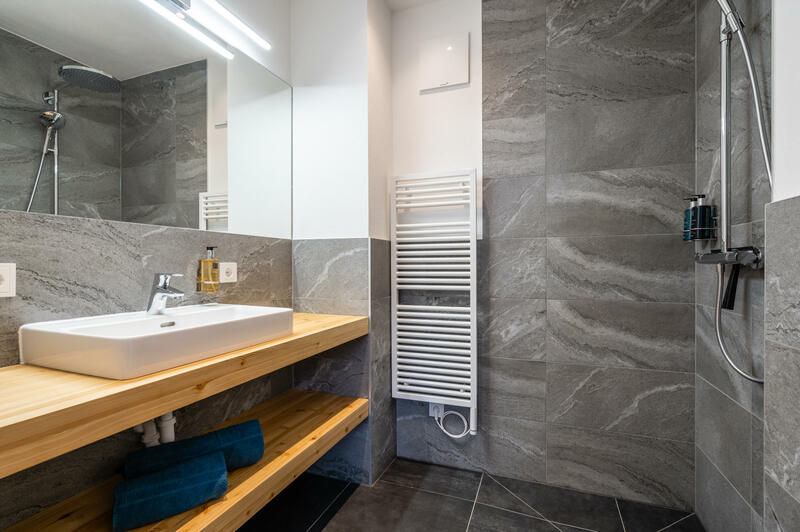 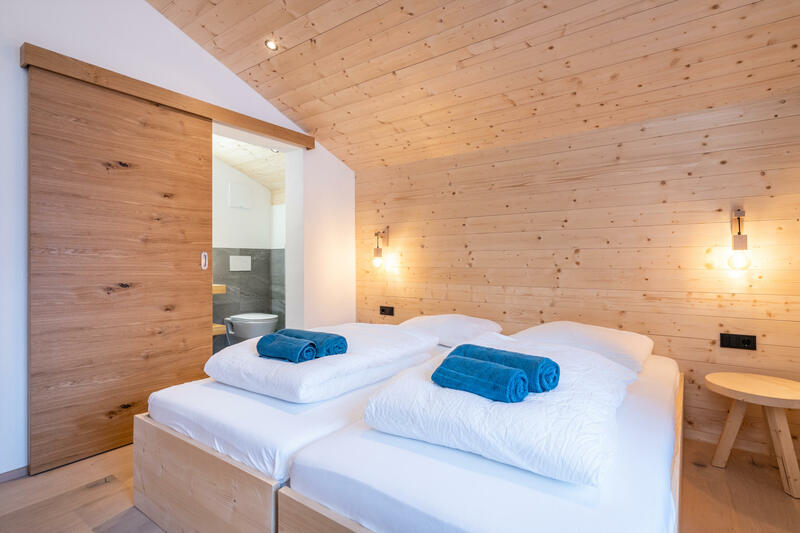 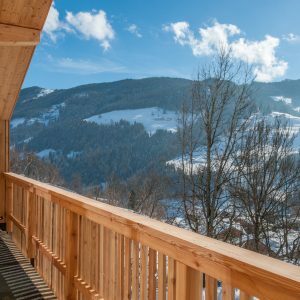 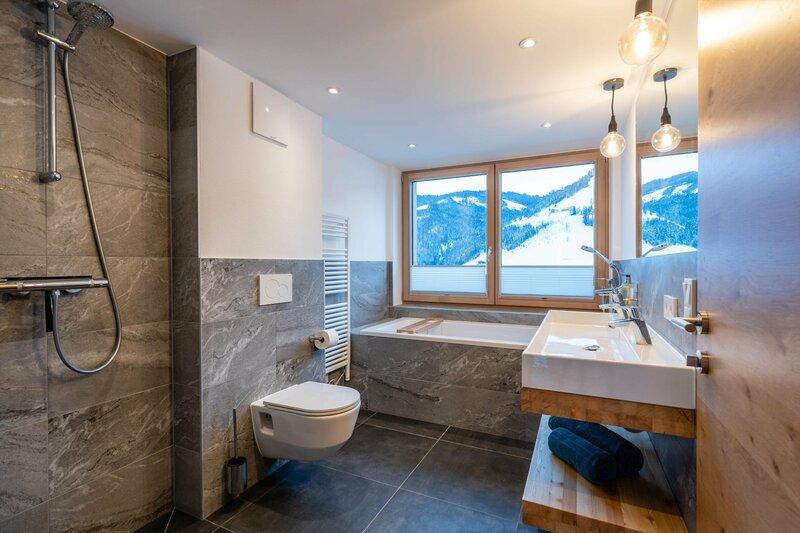 Facilities also include an indoor sauna, bathtub with view over the valley, high speed wifi, Playstation 4, TV’s in all rooms, a washing machine & dryer and floor heating in the full chalet. 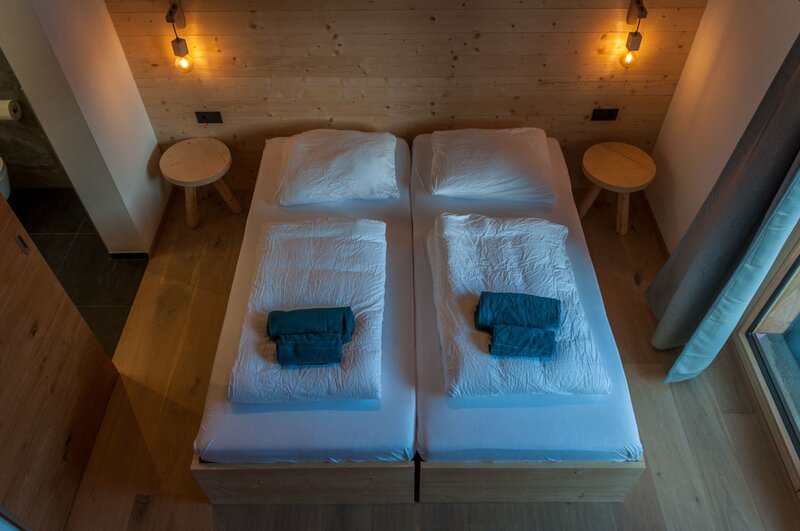 You can rest assured all modern day comforts have been taken care of! 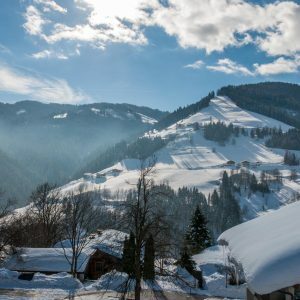 Winter brings out the best in Hochkönig. 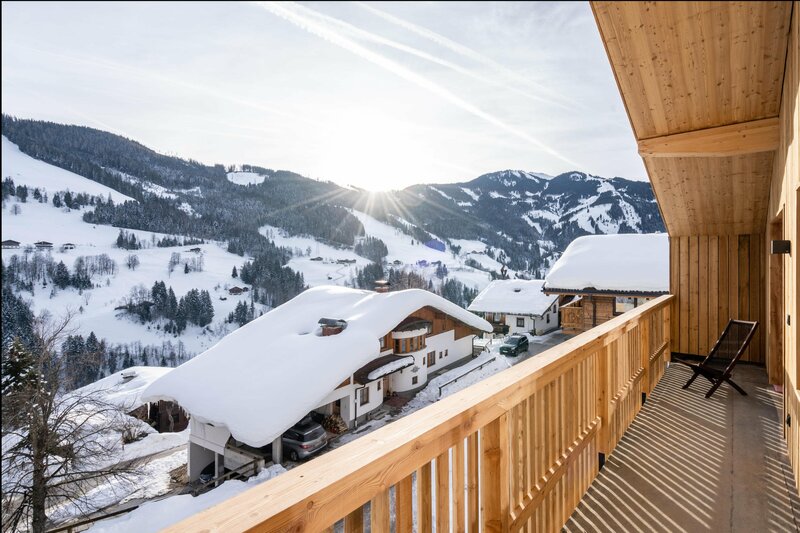 From 760 kms of Ski Slopes across Ski Amadé to perfectly prepared cross country ski and snow shoeing trails to Tobogganing with your family, there is something for everyone. 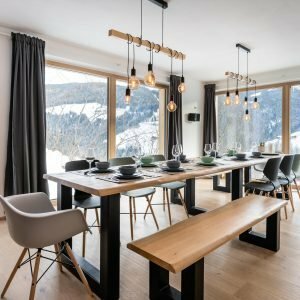 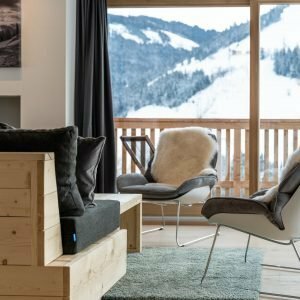 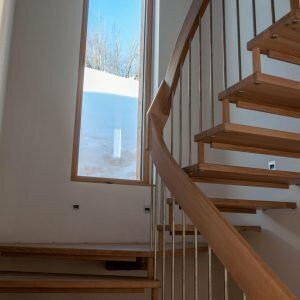 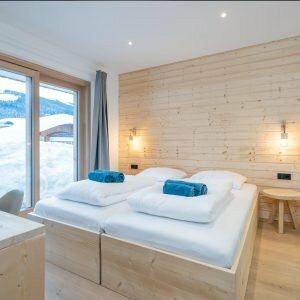 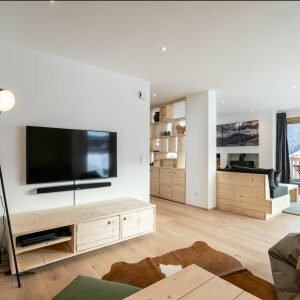 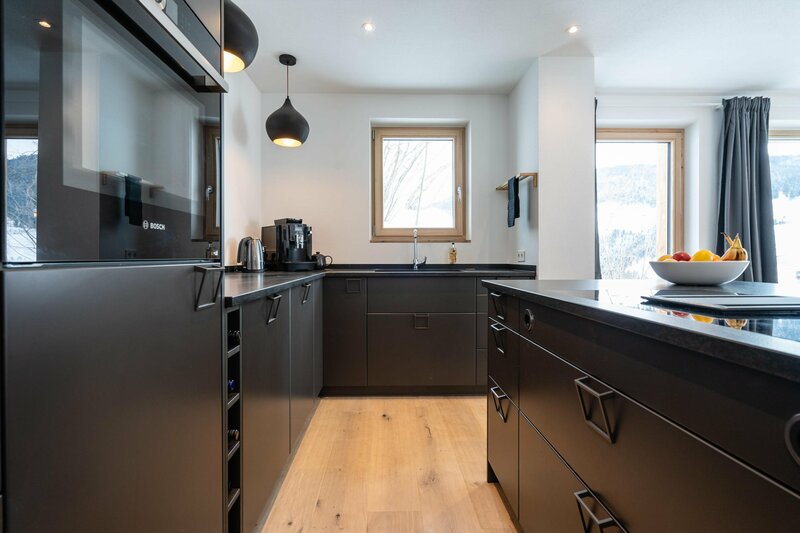 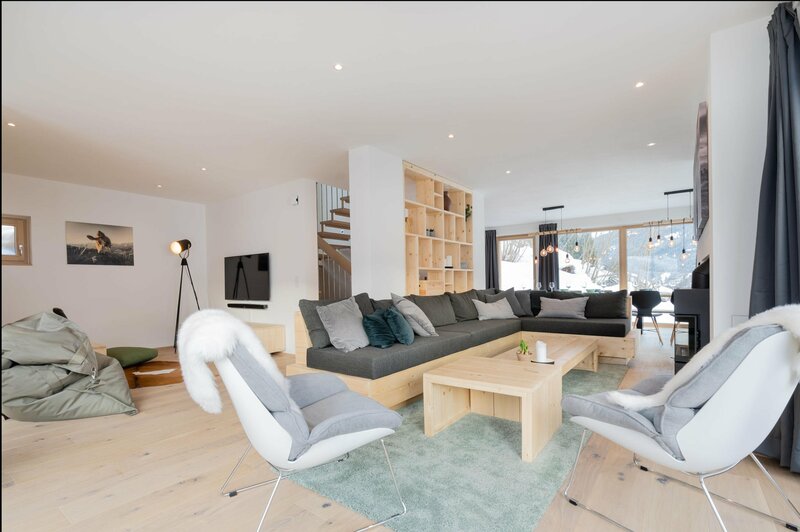 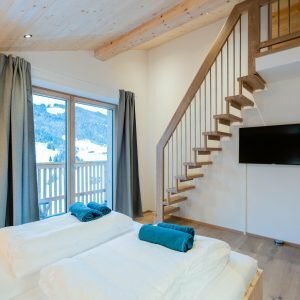 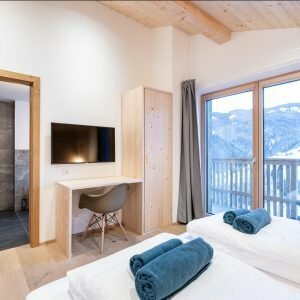 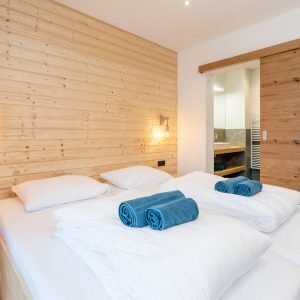 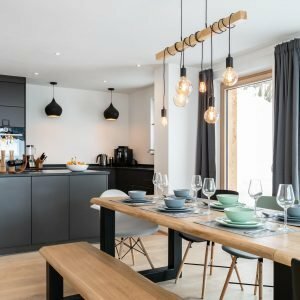 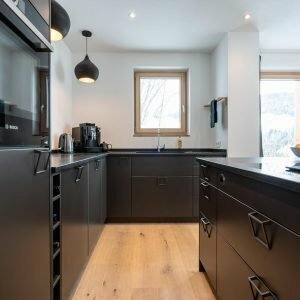 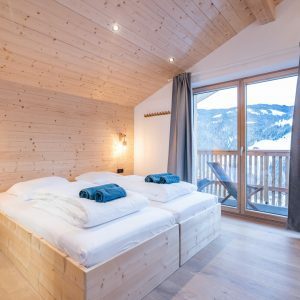 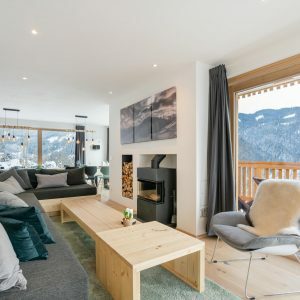 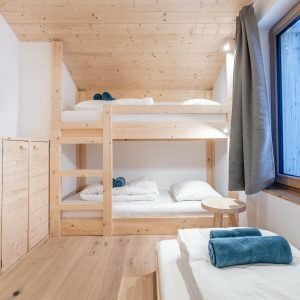 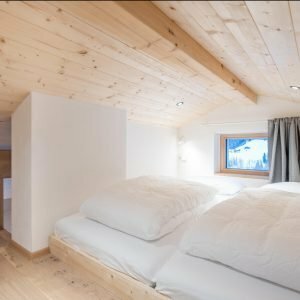 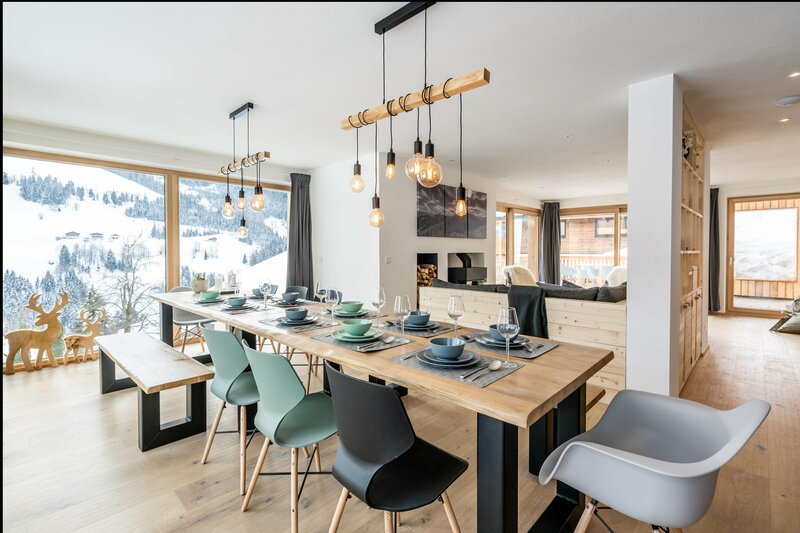 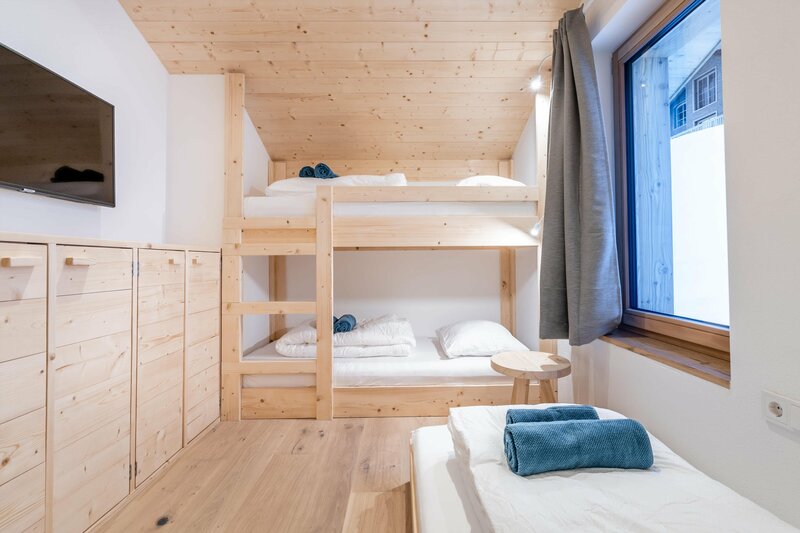 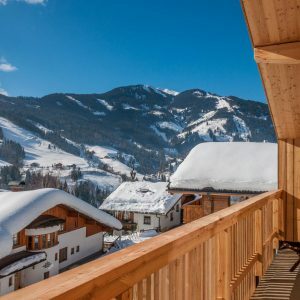 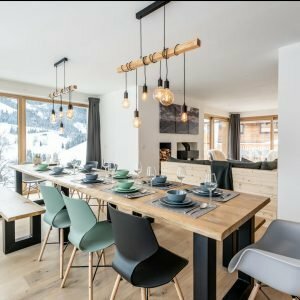 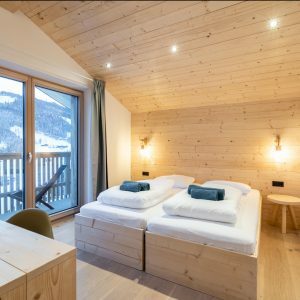 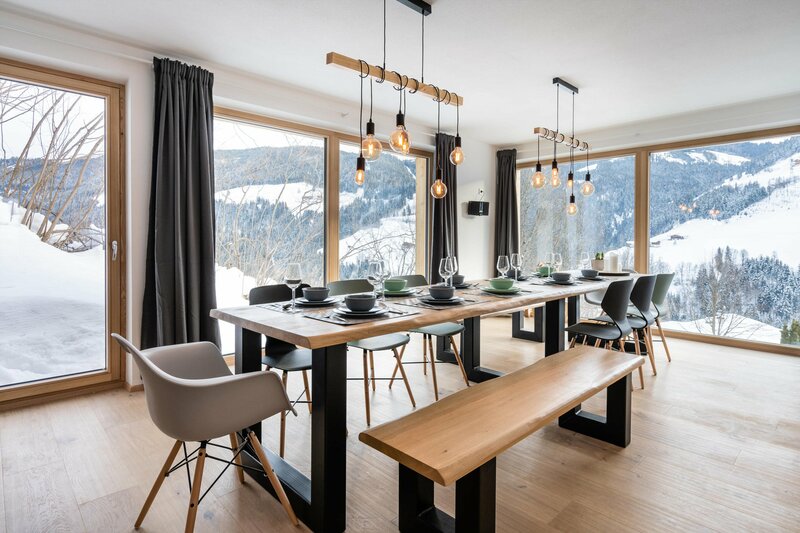 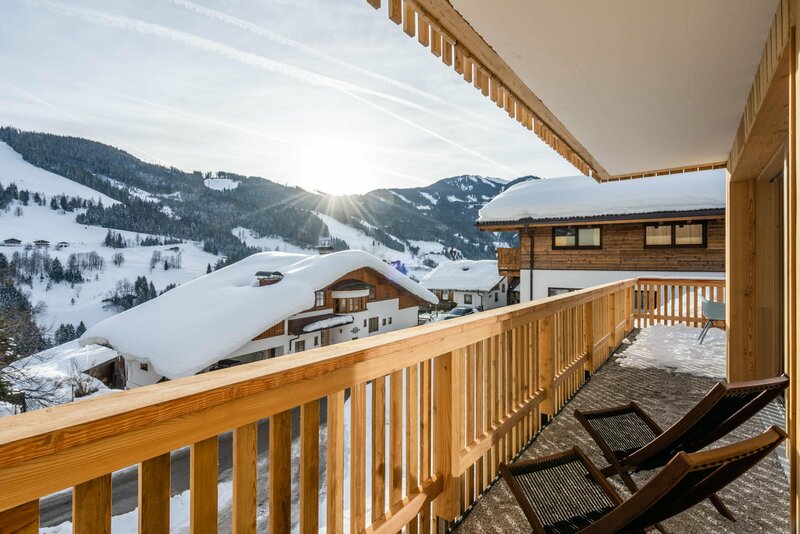 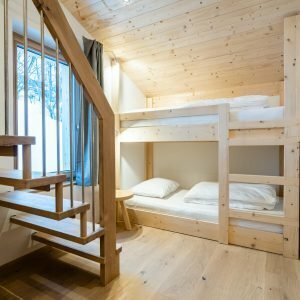 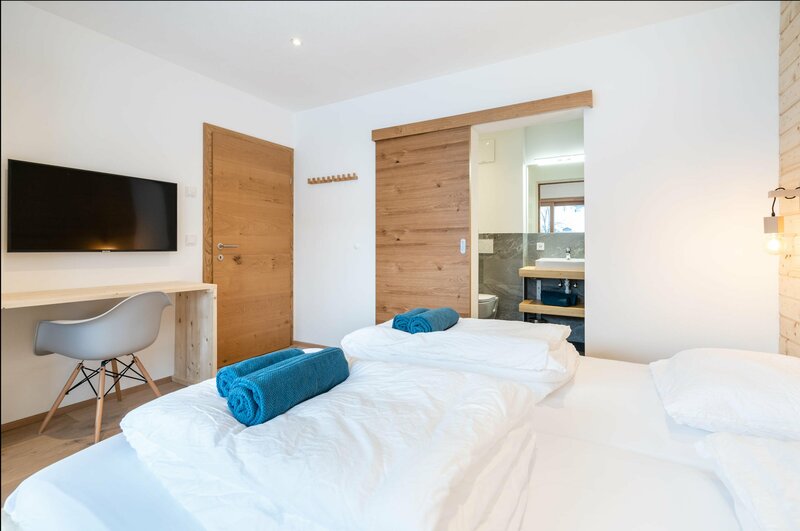 Wanderfalk Lodge is just a 5 minutes drive from the closest Ski Lift (Karbachalmbahn) or a 5 minute walk to the skibus which will take you to the lift! 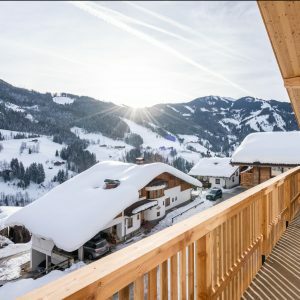 Hochkönig is the ideal destination for ski holidays in Austria as it receives significant snowfall and 90% of the ski slopes in Ski Amadé have snow making capabilities. 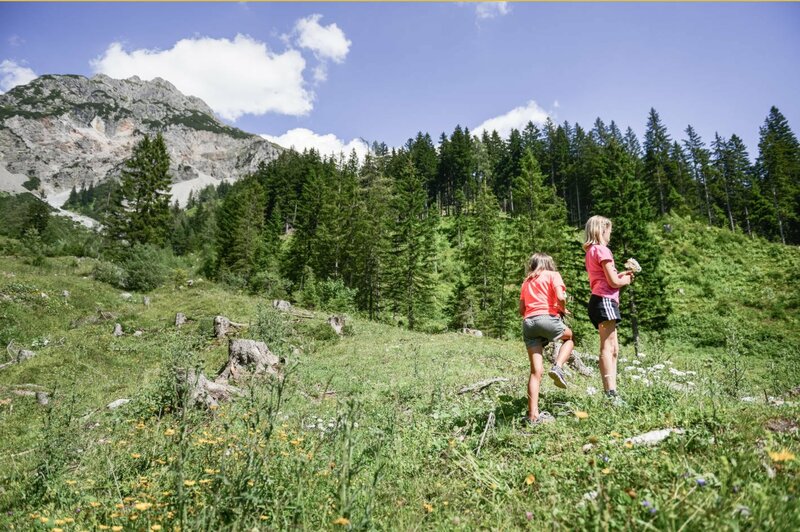 In Summer Hochkönig turns into a paradise for nature lovers with numerous activities to do and plenty of sights to see. 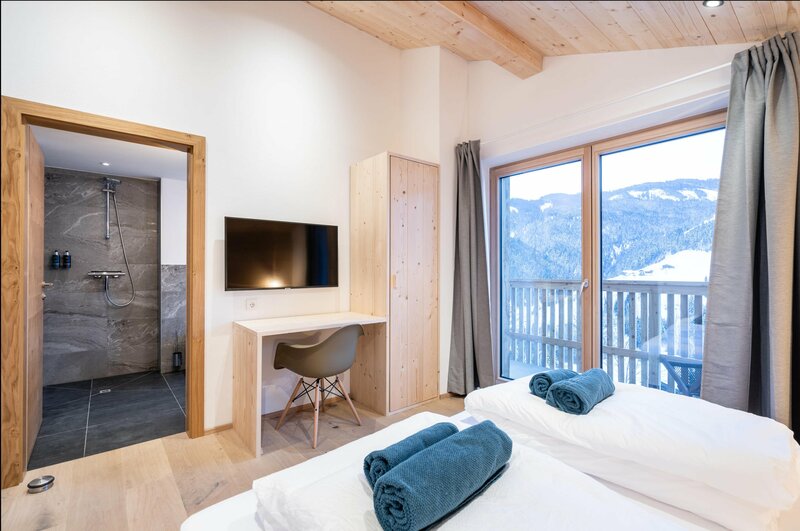 From hiking through picturesque mountain landscapes to E-Biking through the valley, from road tripping through surreal alpine routes to spending a day with your kids at the alpine playgrounds or taking a refreshing dip in the many swimming pools and lakes in the surroundings. 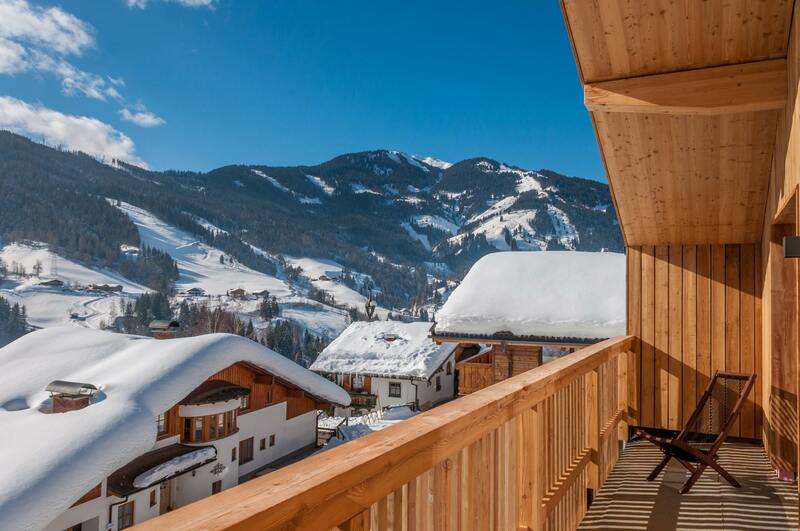 Everybody will find activities that suit their perfect holiday break! 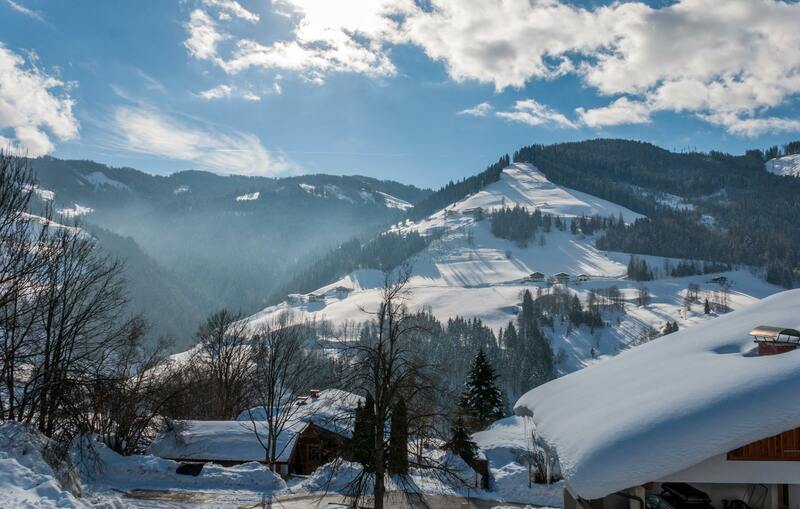 The mountains have always been special to us. 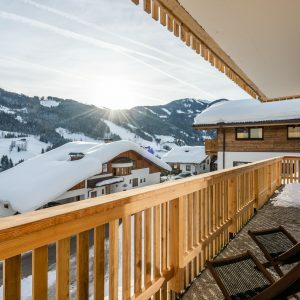 Be it skiing or hiking, we have had some of our best holidays in the Alps. 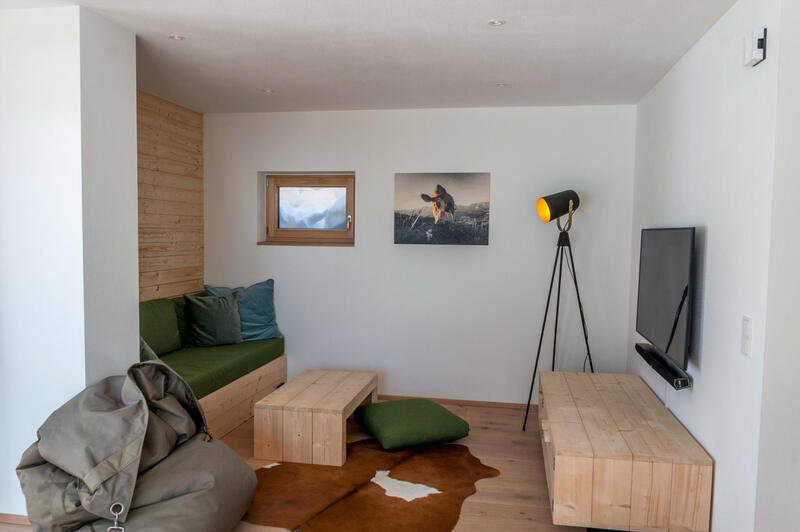 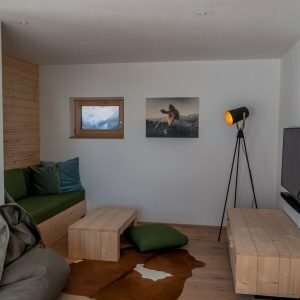 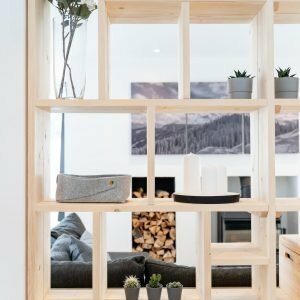 For this very reason we built the Wanderfalk Lodge in Salzburgerland, an ideal base to explore the Alps both in summer and winter. 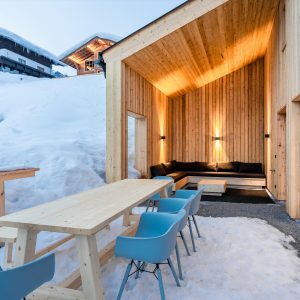 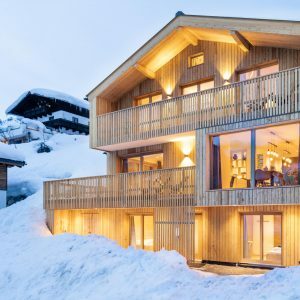 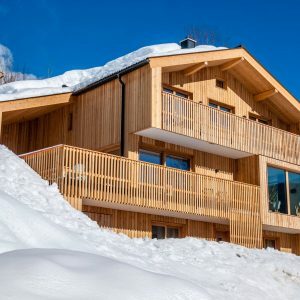 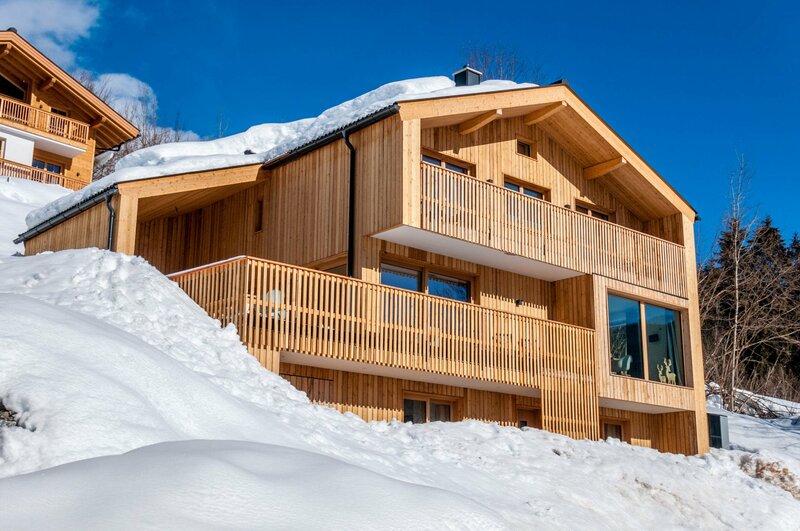 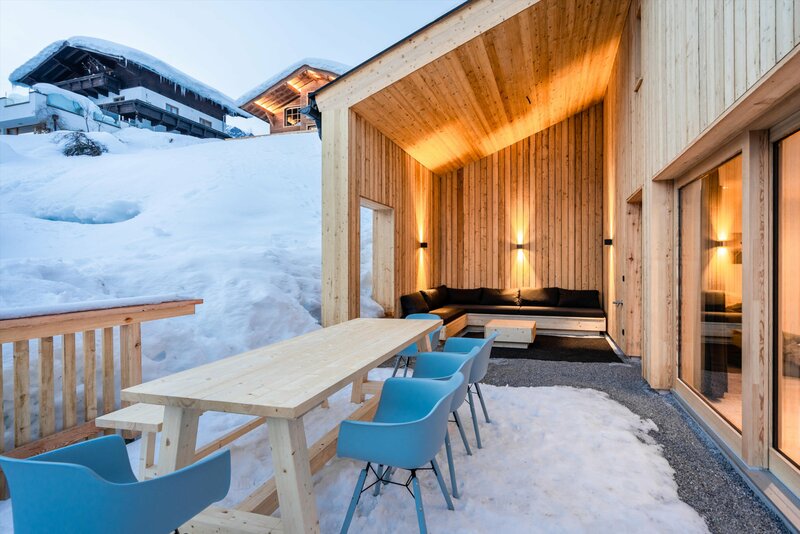 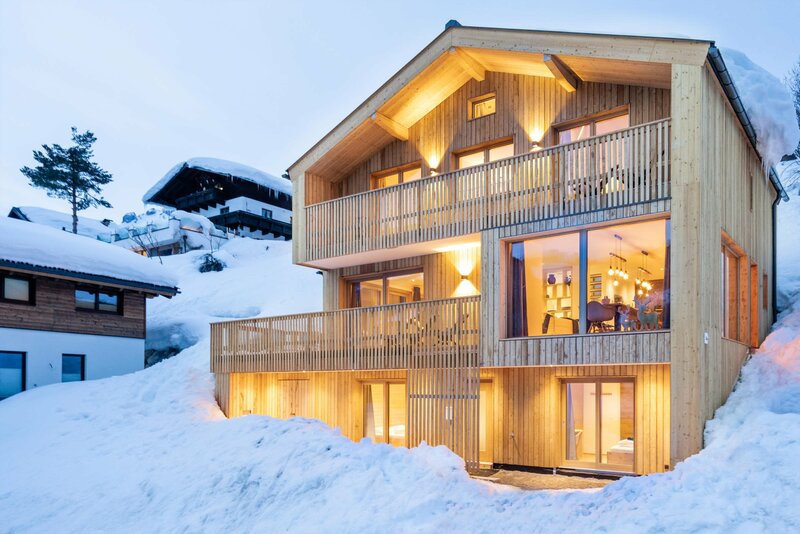 A chalet that also comfortably fits all our family and friends! 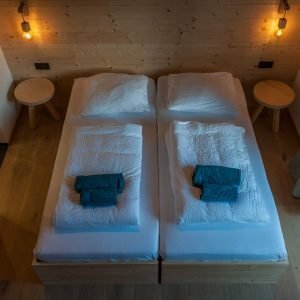 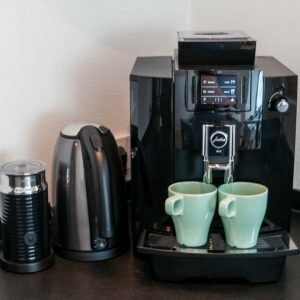 We hope you too will enjoy your experience in the Wanderfalk Lodge! 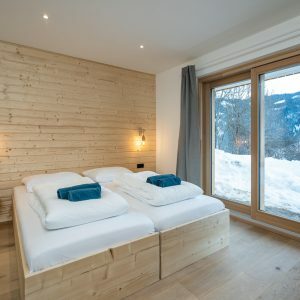 The Wanderfalk Lodge is located in the village of Mühlbach am Hochkönig, Salzburg province, Austria. 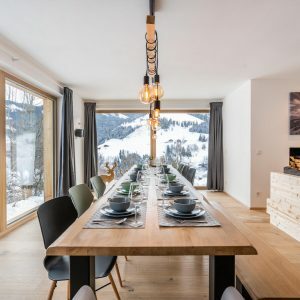  It is well connected by roads and public transportation.